Microsoft is getting a reputation for trying to put its older software packages out to pasture, but never quite getting there. The most famous case in recent history is of course Windows XP, originally introduced all the way back in 2001 and still shipping on a brand-new machines today—mostly netbooks, but some other systems as well. 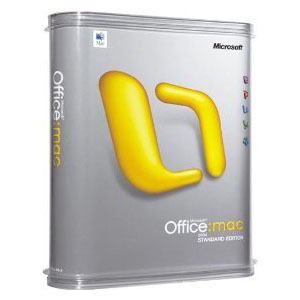 Now Microsoft looks to be jumping platforms a bit: while the company had been scheduled to discontinue mainstream support for Office for Mac 2004 today, the company has decided to extend support for Mac Office 2004 all the way through January 10, 2012. The decision may be important for businesses, educational institutions, and other large Mac Office customers who have put off upgrading to Mac Office 2008 because the newer version doesn’t include Visual Basic for Applications (VBA), meaning customized solutions workflow and applications developed using the built-in scripting and programming capability in VBA simply aren’t possible in Mac Office 2008. The support extension means Microsoft will continue to offer security updates as well as non-security bug fixes for Office 2004, and Microsoft is quick to point out the support extension does not apply to any of its other Mac products. The next version of Microsoft Office for the Mac is scheduled to be released in about a year; the next version of Mac Office will again include VBA, and will also mark the debut of a full version of Microsoft Outlook email, calendar, and collaboration application for the Mac.